This is a powerful video of stories of broken lives crushed by pain and sorrow restored to blessedness and beauty through Christ Jesus. A hopeful and inspiring message and song. 5 Things Christians Should NOT Say to Cancer Patients by Lee Wilson – “For years now I’ve felt there was a disconnect between the well-meaning reactions of church members toward Christians affected by cancer and other diseases of similar dread.” Many cancer patients hear words that cause emotional pain on top of what they’re already suffering. Lee shares by experience what not to say and some things we can do. 10 Things Cancer Patients Love to Hear – Cancer patients share what they love to hear. 15 Things Not to Say to Someone with a Chronic or Invisible Illness – Some things you say to someone with a chronic illness may hurt their feelings, even though you may not mean to. A lot of the time you are just trying to understand or sympathize. Well, from the perspective of someone who lives with a chronic illness, here are 15 things you should never say to someone with a chronic illness. 20 Bible Verses about HOPE – Feeling downhearted and hopeless? 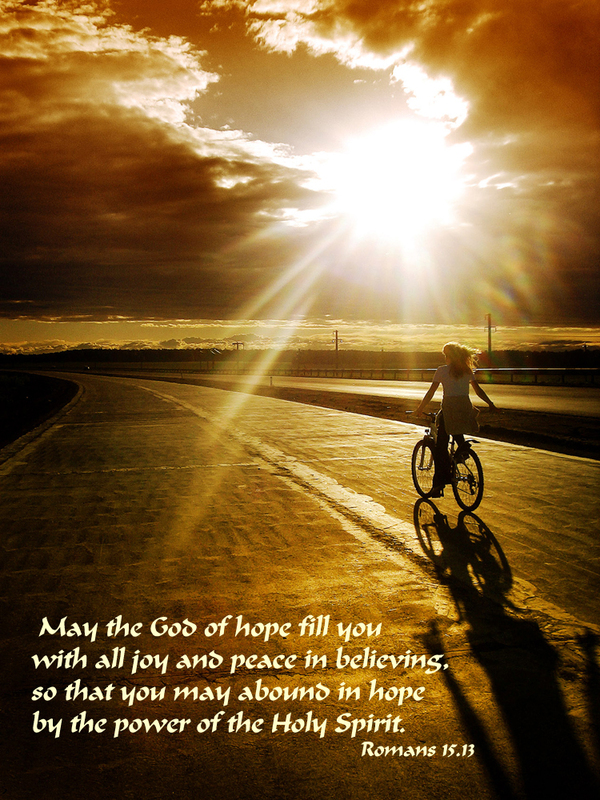 Read some selected Bible verses on Hope (from Bible Gateway). 20 Ways to Really Help the Grieving – Lisa Appelo, who knows by experience what grieving is like when she lost her husband, lists empathetic and compassionate ways to help those who are in grief. 30 Days of Truth – Being sexually abused as a child fills our hearts and minds with lies. Michele Viscuse shares 30 Days of God’s Amazing Truth that she discovered in her healing journey. 31 Days of Kintsugi – Lesley posts 31 Days of hope-filled messages in a series looking at how God takes brokenness and transforms it into beauty. ABCs of Jesus’ Love – A print-out of descriptive words using the letters of the alphabet and Bible verses to show the many ways Jesus loves us. Beating Your Past Pain – Kelly Balarie shares some important truths here – “Unveiling your past pains before the Great Healer, allows your past pain to become healed pain.” Includes a list of Scripture verses of what God says to us. Broken Vessel by Paula Wallace – In a 5-minute video, Paula Wallace shares her story of how God showed her hope, life, and beauty in place of the damage abuse caused her. Butterfly Struggle Story – It’s the struggle that causes us to grow and gives us the ability to fly. Can Christians Truly Have Mental Illness? by Bev Rihtarchik – Bev brings awareness to mental illness. Christians are not exempt from it. She shares her struggles with it and with the misconception some Christians have that it means a lack of faith. Chosen and Approved Series – An encouraging 6-week series: Three women explore what it means to be chosen approved. They write, share and question what it looks like to live in a world with a set of expectations that do not always match our own. Or how the world sets us up to reach a standard that as hard as we try to achieve, we cannot attain. Cloud Townsend Resources – Dr. Henry Cloud and Dr. John Townsend have been bringing hope and healing to millions for well over two decades, helping people discover solutions to life’s most difficult personal and relational challenges. These are free short videos that offer solid advice in the areas of relationships, dating, marriage, parenting, emotional struggles, spiritual life, goals and success, and leadership. Courage to Break Free – “Brave” by Joy Lenton. A heart-searching poem that promotes hope, healing, and freedom. Emotional Abuse Test – Take this emotional abuse test to find out if you’re in an emotionally abusive situation. You’ll also find other information and resources for help at this “Leaving Abuse” site. From Victim to Survivor to Thriver by Barbara Whitfield – In columns, Barbara lists characteristics of each one in progression. Grief and Sexual Abuse by Sherry Russell – Explains the losses sexual abuse survivors experience, the effects and symptoms sexually abused children may develop and carry into adulthood, and the need to be believed and supported. In order to heal, survivors need to identify their losses, experience and express their emotions, and reinvest in a life that has dealt with the past. Hope After Abortion – “It’s normal to grieve a pregnancy loss, including the loss of a child by abortion. It can form a hole in one’s heart, a hole so deep that sometimes it seems nothing can fill the emptiness. You are not alone…” Project Rachel Ministry gives help and support for those seeking healing and reconciliation after abortion. Hope Mommies – A non-profit Christian organization whose sole purpose is to come alongside moms and families who have experienced infant loss, bringing comfort, encouragement, companionship, and hope, ultimately the Hope of Christ, as they continue to walk this side of eternity without their beloved son or daughter. Hope Verses – Hope verses Bill from “Unshakable Hope” has put together. Suffering from Lou Gehrig’s disease, Bill has learned that hope is one of the things that cannot be shaken. How To Support Someone With Cancer by Dr. Michelle Bengtson – From experiencing cancer with both herself and her husband, Michelle has learned these 12 important, insightful tips for supporting someone with cancer. Hurt, Hope, and Making It Through Life’s Hard Times – Holley Gerth reminds us that hurt and hope are a part of every hard experience. Hurt and hope both need to be felt, not ignored. Life Without Limbs – Nick Vujicic has no arms or legs, but his disability does not in any way diminish his ability to inspire and spark the flame of hope in people’s lives. “My Child” – “Father’s Love Letter” (video) written out by Lynn Simpson with supporting Bible verses. Psychology for Living -Narramore Christian Foundation, a Christian mental health organization dedicated to preventing and solving human problems, anxiety, depression, relational conflicts, and psychological disorders through psychological counseling. Scriptures About Different Kinds of Hope – Vicki Chandler put together some verses of the many kinds of hope the Bible speaks of. Searching for Signficance – This 7-day devotional by Wycliffe Bible Translators dives into God’s view of our worth. Each day explores a different part of God’s perfect plan for our lives, how nothing can satisfy our longings for significance and worth besides Jesus, and how He ultimately wants us to find purpose and significance through bringing Him glory. Stop Minimizing Mental Illness: Worst Things to Say by Natasha Tracy – “Why is it that just because I see a psychiatrist and you see a neurologist your disease is real and mine is not? Why is it you assume I can will my disease away while you can’t? Why is it that you can expect me to bring you chicken soup when you get the flu but when I get sick I can’t even expect that you’ll stick around? Susie’s Joy Journey – Susie’s poems are a soothing balm to wounded and weary hearts. Her poems delve into struggles and end up going Home as she clings to the Father heart of God where she is loved and called His daughter. Ten Reasons to Hope When You Are Hurting by Stephen Arterburn – Are you hurting? Here are ten reasons based on Bible verses to hang onto hope. Thank You For the Fleas – How can one be thankful for fleas?! This is an article about how and why Betsie thanked God for the fleas in the concentration camp. (Excerpts from The Hiding Place) An amazing example of how God turns bad things into our good and His glory. The Abuse Expose With Secret Angel – A blog reaching out to victims of abuse and others in need, providing insight about abuse, hope for the future, and guidance to see THE LIGHT that lead Secret Angel out of the darkness of her own abusive situation and helped her to not only survive but to overcome. The Truth About You by Lesley – “It can be easier sometimes to present an image of who we would like to be or who we feel others want us to be, instead of living authentically as who we really are.” Lesley shares several truths of who we are in Jesus along with Bible verses that confirm them. Thirteen Reasons for Hope by Lesley – Lesley has a compassion and empathy for those who feel hopeless. I love these thirteen reasons for hope based on God’s Word. Unshakable Hope – Read Bill’s amazing testimony of the grace of God and how God is using him to minister hope to others in the midst of the heavy trial of Lou Gehrig’s disease. Bill says, “This trial has taught us that the only way to experience genuine and consistent hope, peace and joy in the midst of a trial is to view our life and situation through God’s eyes.” I am linking to a particular blog post as it has a link to the interview he and his wife, Mary, had with Moody Radio. Vision 61 Ministries – Hope, Freedom, and Recovery of those who have been held captive by hurts, habits, addictions, self-destructive behaviors, etc. What Those With Chronic Pain or Illness DO Want to Hear – An article at Psychology Today written by Toni Bernhard, J.D. who knows what it’s like and had to retire early due to chronic illness. What You Believe Matters by Dr. Michelle Bengston – “When the way is unclear, when the road is rocky and painful, when my heart feels shattered, I have to remind myself of what I believe, what I know to be true.” – Michelle shares several hope-filled verses for when we feel broken and battered in life’s storms. Who God Says You Are: 17 Scriptures About Our Identity by Michelle Bengston – “Throughout my life, the enemy has whispered labels in my ear that I began to identify with and call myself. You’ve probably done that occasionally too.” Michelle shares the negative labels we sometimes identify ourselves with and continues with “but God says..” and proves it with a Scripture verse of the truth of our true identity in God. You Are Not an Accident by Rick Warren – Do you sometimes wonder why you were ever born? This article is an encouraging read – “Your birth was no mistake or mishap, and your life is no fluke of nature. Your parents may not have planned you, but God did. He was not at all surprised by your birth. In fact, he expected it. If you know of any links that encourage hope, healing and freedom, please let me know.